In the Premier division of the Challenge Cup held at Niagara College on January 27th the Boys’ Black Attack 18U continued its winning ways. Opening the tournament in pool play the boys were a bit shorthanded due to injury and SAT testing…….however it was a solid start to the day against the Breakers and then the Preds from Kitchener. Attack won both matches and headed into a quarter final against a tired Mavericks squad. Attack took control early and won in two sets. The semi-final saw Attack hit its stride and dispatch MAC 25-17, 25-16. The gold medal match was once again against Pakmen. The opening set saw Attack take charge and win 25-21. The second set was a bit crazy with Attack taking a huge lead only to see it evaporate and lose that one 21-25. In the third set, Attack led all the way but Pakmen made it close, with the final 15-13. That makes two gold in two OVA tournaments so far this season. On Saturday September 10, 2011 Durham Attack volleyball players ventured to Whitby’s Rotary Sunrise Park for the 5th Annual Durham Walk for Lupus Fun Fair & Silent Auction. Players and parents from various teams donated to the silent auction and bake sale and also volunteered and worked diligently to set up and prepare for the day’s festivities by assembling canopies, tents and tables and putting up decorations. 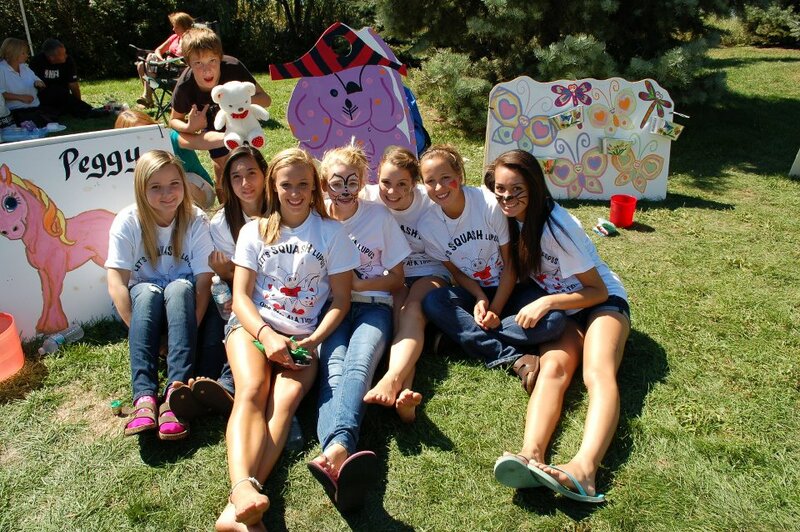 More importantly, the players were responsible for running a fun fair called “Lupie Land”, where they engaged children in numerous games from Mouse Putt golf to Bean Bag toss to Ring toss to Lucky Key and many more. The players laughed, smiled and shared stories with children from the community as they came together on this special day. The players were enthusiastic, respectful, polite and energetic, thus representing the Durham Attack Volleyball Club as true ambassadors to the Durham community. Special recognition goes to Brian and Kelly Kondo for their generous donation to the silent auction. Durham Attack players and parents included: Hannah and Christa Gianatselis; Kelsey Harris; Brian, Kelly, Madison and Jordan Kondo; Camille Lefaive; Pete and Chloe Michaud; Bev and Amanda Mulholland; Kim and Allie Prinzen; April and Layton Risto; Jeff Simmonds; Kim, Kendra and Hannah Smith; Joann, Jalisa and Brianna Sterling-Flemmings; Wendy and Jessica Walker. Overall, the day was very successful seeing hundreds of community residents enjoying the event. 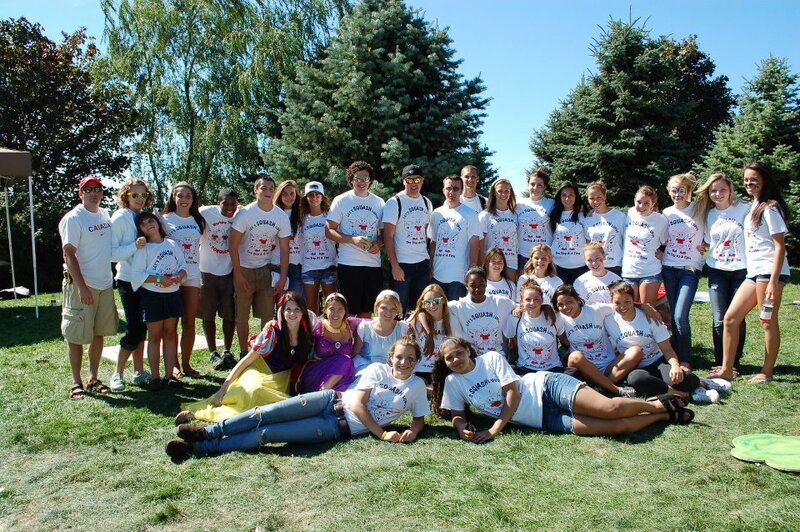 This year’s Walk raised over $57,000! 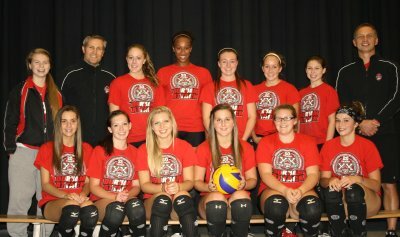 Another volleyball season lies before us and the girls of DA 16U Red look forward with anticipation. Led by coaches Mike, Jacek and Nicole, members of this year’s team are: Hannah Bischof, TJ Campbell, Hanna Gianatselis, Jordan Grave, Britany Hodgeman, Madison Kiriakou, Joanna Lewicki, Taylor Mueller, Allison Pilon, Randi Richardson and Emily Ryan. After an amazing weekend of team bonding at Camp Madawaska, the girls were off to a great start; new friendships formed and old ones rekindled. The girls have been hard at work in October honing their skills and toning their bodies. Practices combine conditioning training and skill development all in a fun and positive environment. Off the court the parents too have pulled together, eager to support the team and have a little fun themselves. All in all a great start for the DA 16U Red team and undoubtedly a fun and memorable season ahead! 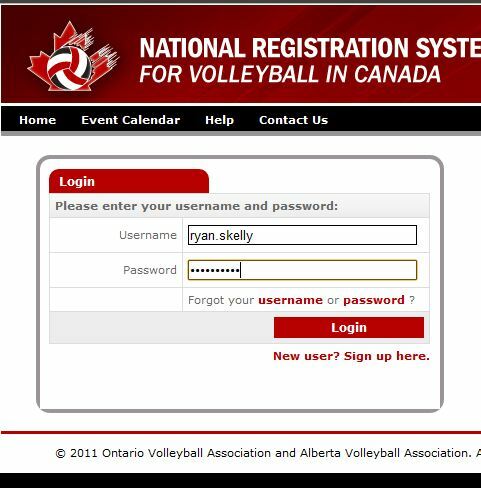 This is hugely important to all parents, players and coaches, as we have started registering you in Volleyball Canada’s NRS (National Registration System). This is a two step process that requires your participation. Please follow these instructions to make *your* life easier. If the registration process gets messed up then we cannot fix things – you will need to call the OVA to sort it out. But it works perfectly if you follow the instructions, and if returning players have their Username and Password. 1. We use your OVA Registration Form to register you in the NRS as an indoor player for this season. We make payment (it is part of your registration fees). We identify the athlete using the email address that you gave us on the OVA registration form. Important point #1: you need to watch for an email to this address, like the one below. If you do not see it by October 21st then you need to contact Chris Williamson – chris@durhamattack.org. If Chris has done our part and you still have not received the email, then you will need to contact the OVA (more info below). 3. Click the link in the email, to go to the ‘VCNRS’. It will bring you to a login screen. 4. If you have never played in the OVA then click the ‘New user? Sign up here.’ link. You will be asked to provide information to create a new account – Username, Password, and contact information. Important point #2: When asked to identify the region, pick ‘REGION 4’. Once you click ‘Register’ you are done. Important point #3: Store your Username/Password somewhere so you can use it to play beach in the summer, or register next season. Otherwise if you have been registered in the OVA before then login with your Username and Password. If you cannot remember it then click one of the ‘Forgot Username or password’ links. It will help you to recover your login info. Once you have logged in you will see an information page listing your team. You are finished. Important point #4: If at any point in the process you are asked to pay for registration then something has gone wrong. Please contact the OVA. For more information follow this guide from the OVA, which has contact info if something goes wrong. Note that if your team is playing at multiple age levels, you will receive multiple emails from the NRS. The additional emails will have a link to the NRS, and when you login you will see an additional registration (e.g. a 16U athlete will now see an additional registration on a 17U team). Finally… once we have registered you in the NRS it is beyond our control. If you do not receive an email please check with Chris; if he has registered you then check with the OVA as outlined in the guide above. If you do not complete this registration process then you will be left in a ‘pending’ status in the NRS, and you may not be eligible to compete in tournaments. Each year we spend a lot of time reminding players to complete registrations. This year it is up to you. We believe the OVA will be checking for full registration of athletes, so please complete the process so that you don’t have any unpleasant surprises this season. If you are not familiar with OVA (Ontario Volleyball Association) volleyball, it includes girls age groups from 13U to 18U, and boys age groups from 14U to 18U. Our team size is generally 12 at the younger ages, and decreasing by a player or two at the older ages. On the girls side of the house we generally run three 13U teams, two teams at 14U, 15U and 16U, and a single team at each of 17U and 18U. On the boys side we will run a single team at each of 15U, 16U and 17U this season. We will not have an 18U boys team this season; instead we are making an investment in our boys program with multiple 14U teams, with a delayed tryout schedule. For 14U boys we will run a number of free clinics in the first half of September, and tryouts later in the month. 14U boys – watch this space for more details. * The teams we plan to run, and the tryout schedule, may change based on the turnout at tryouts. Every year is different and we will fine-tune things as we go. Our constraints are qualified coaches and gym space, so if you can help on either front please contact us and help us expand our program. Talk to our coaches at tryouts to get an update as things progress, and watch this space for changes to our try-out schedule. We are also running a Sitting Volleyball program this season, and have committed to field a team in the inaugural Ontario Championships. Based on our program from last year, and plans to increase capacity, we have received a $10,000 grant from the Canadian Paralympic Association to help us take the Sitting game to the next level. Designed to be played by athletes with disabilities, it is also a version of our game that all of our athletes enjoy. We are sending our Sitting coaches to train with the National Sitting Team; we have room for another coach or two. If you are interested in playing or coaching then please contact us. This program will start up as soon as we are able to get regular gym time, later in September. If you are trying out you should also be aware that all of our teams (except 14U boys which is starting a bit later) will be going to Camp Madawaska for a club-wide teambuilding camp after tryouts finish in September. Our older teams will be going to Madawaska from Sept 16-18; our younger teams from Sept 23-25. This is one of the special things that defines our club – our commitment to developing the whole athlete. It is a great weekend that received *rave* reviews from our athletes and parents last year. We will provide more information on this at tryouts. If you would like more information regarding our programs, please email us at: info@durhamattack.org. We will put you in touch with the right person, executive or coach, to help you understand our values and our philosophy, and why our program is one of the most respected in the country.